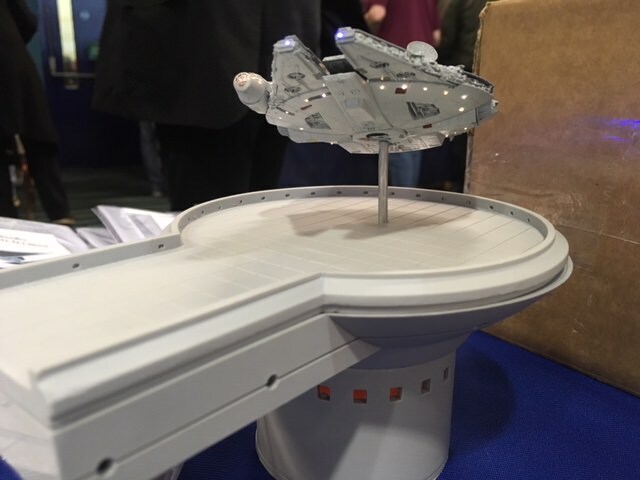 A bit of a fun project using Bandai's 1/350 Vehicle Series Falcon (the palm sized one), a few LEDs and fibre guides and JPG Productions Bespin Cloud City Landing Pad resin kit. The Bandai kit should be familiar to most on here but I have added some 3D printed parts from Shapeways (308 Bits) in the way of new dish, nose cone and cockpit, then added lights to the engines, mandible fronts, cockpit and underside landing light. The base comes as 4 main parts, nicely cast by Jimi and additional parts to go round the base and landing pad. Next stage is to tidy up the base and paint it. 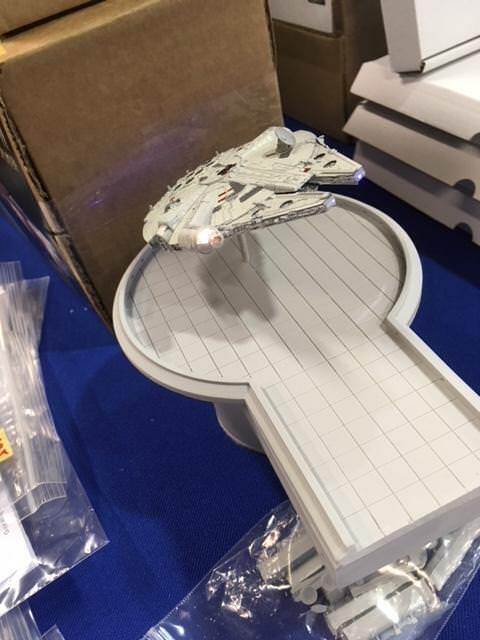 For such a small Falcon, that looks mighty fine!!! That's really nice! Great work! Nice one Warren - It's great to see something from your bench! That looks much bigger than it is. 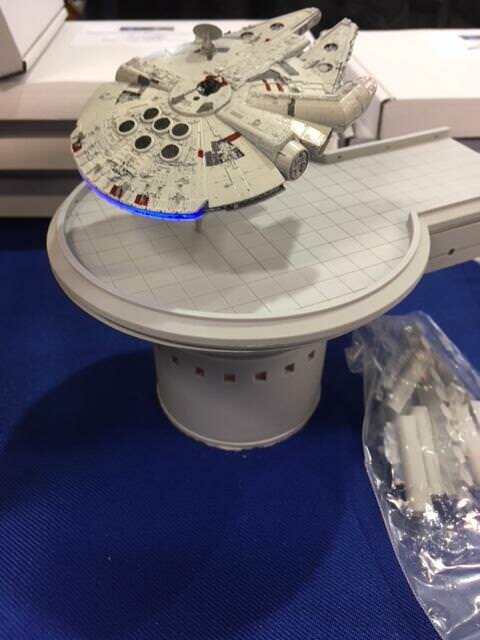 I wonder if they'll do a 1/144 version as well? Si, you have stole my thunder, the Shapeways set includes landing gear but I haven't added it yet!! This looks great, Warren! Very nice! The build looks great, how did you build that base. Aaaaaaand, BAM, just like "THAT" you comments are gone all because of a stray comma! EDIT: Apologies, Warren! I think I was on Si's thread previously and didn't change gears! Again, Apologies. The base is a resin kit from JPG Productions. Available direct from Jimi at JPG or Starship Modeler if in the States. Apologies for putting the wrong name in my response. I now wear "The cone of shame."